This week, we go gaga over desserts in tomorrow’s “Dessert Mayhem 1.0” baking class and we turn Japanese in Saturday’s “A taste of Japan” cooking class. Stay tuned for March and April classes! It’s no secret that I love love love beans. I think I’ve reached the point where a freshly simmered pot of beans — just the first round of cooking in water, salt, and nothing else — gets me more excited than freshly baked apple pie (!) or freshly pressed green juice (!!). Yes I can’t believe I just confessed that. Does that make me weird? I wouldn’t have gotten into the business of vegetables if I wasn’t a little weird, anyway. Better weird than blah. Why all the excitement over beans? Are beans really that amazing? YES, and I can’t harp about it enough! These guys are a super inexpensive, nutrient-dense plant-based food. They come in a rainbow of colors — white, yellow, red, green, black — and sizes. By weight, beans contain more protein than eggs and most meat. And unlike meat, they don’t fill you with cholesterol, saturated fat, or toxic nitrogen byproducts (hello, tuna hotdog). So take note, meat eaters: veg-heads aren’t wilting flowers. We get our plant-strong protein from the beanery. Bakers from "Dessert mayhem: Let them eat cupcakes" class enjoying a lunch of BGB (beans, greens, and brown rice): white beans sautéed in garlic, onion, tomatoes, and cilantro. Yummm! Do you think going veg is expensive? Do angiograms come cheap these days? Let beans save your finances, your heart, your blood sugar levels, and your behind. I can’t stress enough about the fiber power of beans. I’m not gonna lie, back in the day when I used to eat meat, I was one constipated lady. Enter going veg and embracing beans — it was a whole new world. 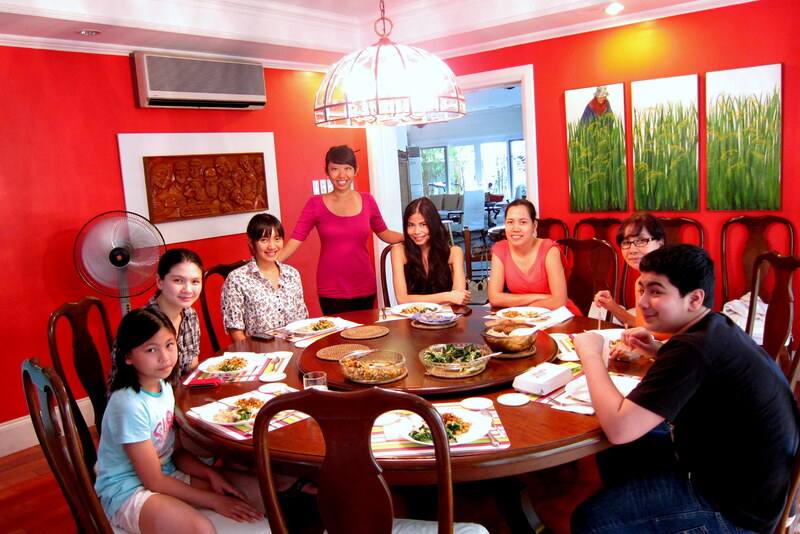 Enough about health, let’s get on with the food. 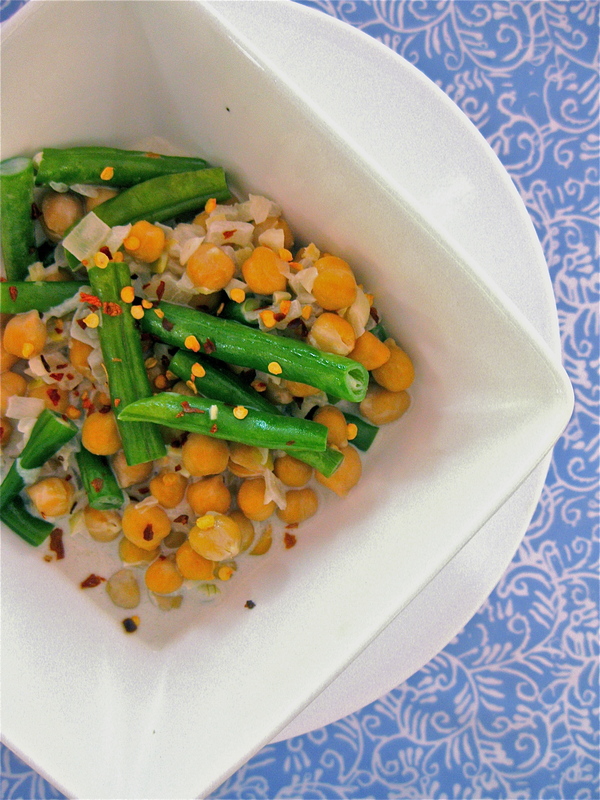 Last Saturday the 18th, I celebrated beans and legumes via Bean Cookery cooking class. Students learned how to properly cook beans and make ’em tasty. That’s actually the wonderful thing about beans: with such a mild flavor, they can be seasoned a million different ways and enjoyed a million different ways. 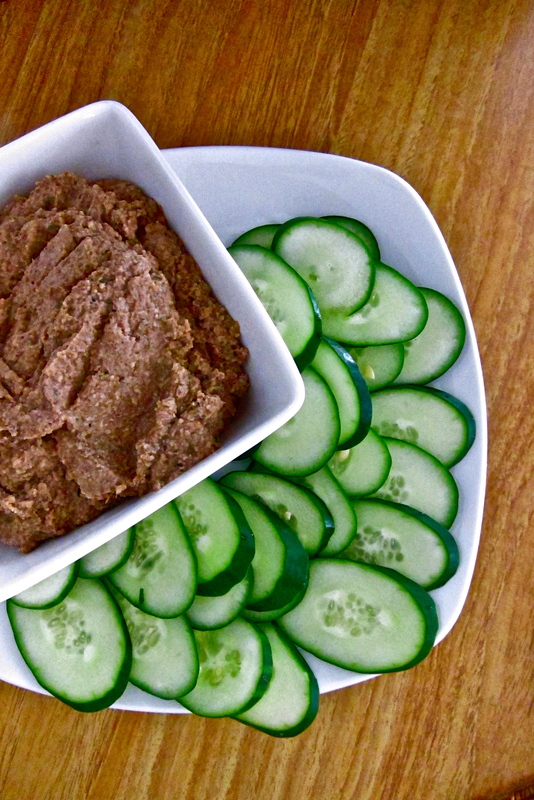 Lentil mushroom pate with cuke chips – addicting savory stuff. 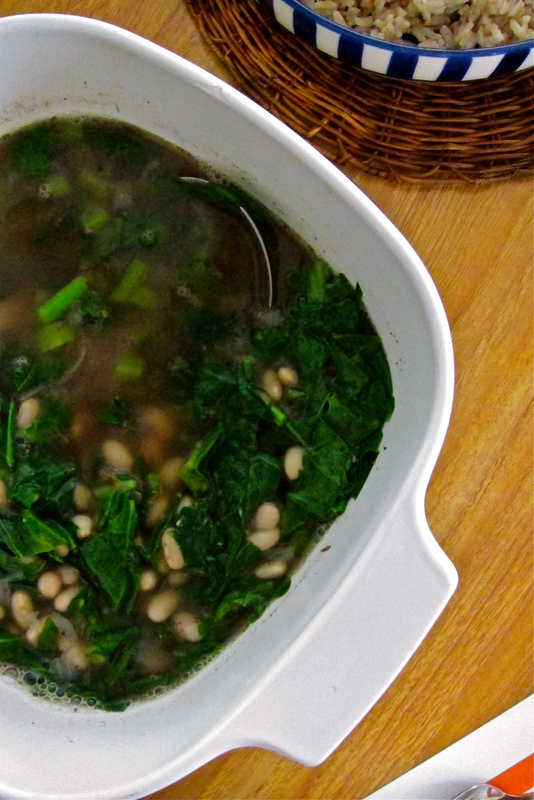 Cannellini beans, greens, and roasted garlic soup – simple, hearty, warming. 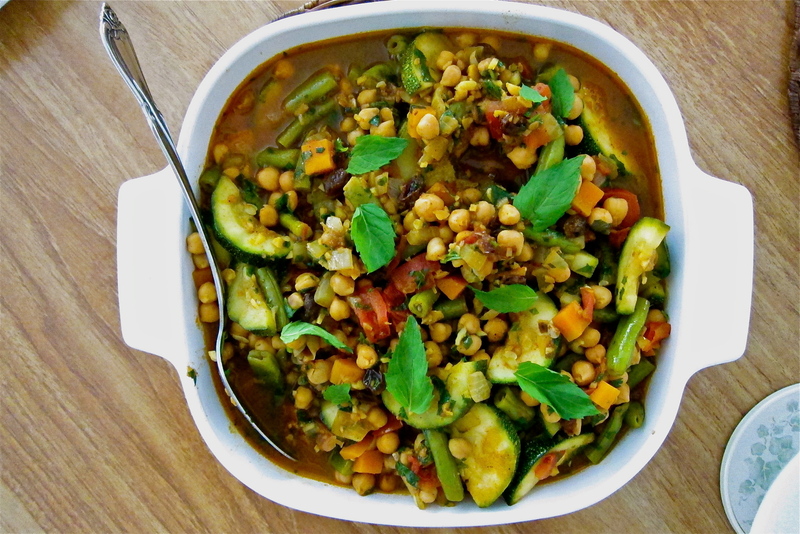 Chickpea vegetable tagine – a blend of spices and herbs makes this dish pop with flavor. 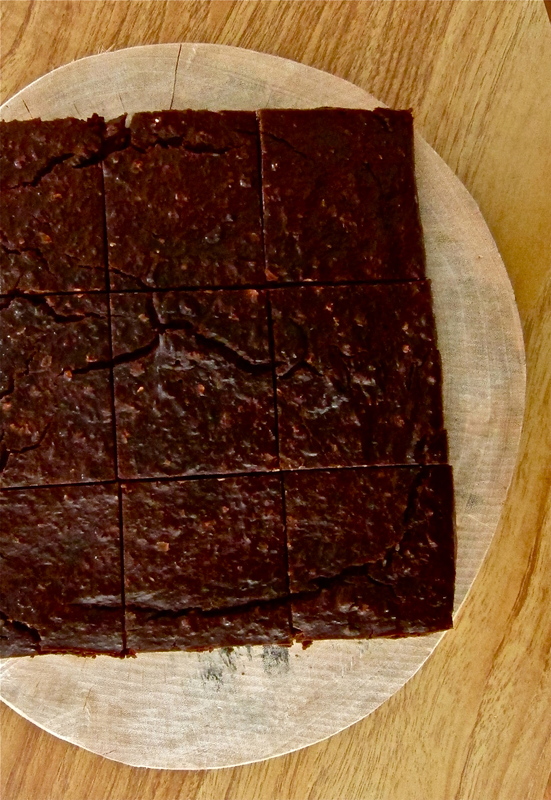 Black bean brownies. Yes, we went there, and it was muy delicioso. Who says you can’t add beans to dessert? Challenge accepted and we did it.